The term Philosophy is a Middle English word originated from the Old French word philosophy, via Latin from Greek Philosophia meaning ‘the love of wisdom’, was coined by an ancient Ionian[i] Greek polymath, Pythagoras in the c.570-c495 B.C. Philosophy (noun), according to the dictionary, is the study of the fundamental nature of knowledge, reality, and existence, especially when considered as an academic discipline; a theory or attitude that acts as a guiding principle of behavior. Philosophy is a pursuit for sagacity and knowledge, an alternative built on individual inclinations. It is a study of general integral issues involving existence, knowledge, morals, ethics, reasoning, language, logic and mind, which also includes questioning, critical discussion, rational argument and systematic presentation. In the ancient pre-historic times of Western philosophy, people had a rather strong belief in magic and mythology whenever it came to interpreting the world around us. The world as they perceived was largely influenced by the presence of a higher deity. As the desire for knowledge sprang, philosophy attempted to satisfy this desire of man making it a compulsion or necessity, instead of the mere luxury. As said by the English author, Aldous Huxley in ‘Ends and Means’, ‘Men live in accordance with their philosophy of life, their conception of the world. This is true even of the most thoughtless. It is impossible to live without a metaphysic. The choice that is given us is not between some kind of metaphysics and no metaphysic; it is always between a good metaphysics and a bad metaphysic’. The ancient Greek philosophers from 6th century BC brought a refreshing approach to the contemporary philosophical paradigm. They broke away from the tradition and embarked on an interpretation largely based on reasoning and evidence. Philosophy is marked with the Greek philosopher, Aristotle (the First Book of his Metaphysics [980a21-993a]). From the ancient times of Aristotle to 19th century, natural philosophy came into existence in different special sciences as astronomy, medicine, and physics. In fact, Newton’s 1687 Mathematical principles of Natural philosophy were later considered and classified as a book of physics. As the modern research grew academic philosophy and other disciplines were led by professionalizing and specialize academic universities. For understanding the basic nature of the universe, God, man, and nature, philosophy began to depend upon different studies of various sciences. Sociology, psychology, linguistics, and economics, were originally a part of philosophy but separated into dissimilar subjects later. Professional philosophers now are called professors, researchers, and writers. Philosophy undergraduates further take up law, journalism, politics, religion, science, business and various art and entertainment activities. Philosophy came from the Greek word philosophia which literally means love of wisdom. After the establishment of the name next came the question of what it is that we do on this subject. The answer is simple yet highly complicated. In philosophy, we ask questions and many questions. Each question comes from a minuscule reasoning of our brain. That is to find an answer or reason for every phenomenon. Why did this happen? How did this happen and stuff like that? So likewise human beings came to a standpoint and asked a question to them. What is Reality? What is real and what’s the nature of reality. That question gave rise to the first branch of philosophy called Metaphysics. Topics of metaphysical investigation include existence, objects and their properties, space and time, cause and effect, and possibility. A central branch of metaphysics is an ontology, the investigation into the basic categories of being and how they relate to one another. Next up is another question and an important one at that. What exactly is knowledge, what is its nature? What are its properties? And from there emerged a new category of philosophy called Epistemology (from Greek word epistēmē and logos). Epistemology studies the nature of knowledge, justification, and the rationality of belief. Much of the debate in epistemology centers on four areas: (1) the philosophical analysis of the nature of knowledge and how it relates to such concepts as truth, belief, and justification,(2) various problems of skepticism, (3) the sources and scope of knowledge and justified belief, and (4) the criteria for knowledge and justification. So after we have learned what knowledge is and what are the possible faces of Reality. The next and final question arises. What should we do with it because anything we do should be solely our responsibility? The third and final main category of Philosophy is Value theory. This can further be divided into two subcategories. One is Ethics (from ancient Greek word Ethos meaning habit.) or moral philosophy is a branch of philosophy that involves systematizing, defending, and recommending concepts of right and wrong conduct. The second being aesthetics. This is a branch of philosophy that explores the nature of art, beauty, and taste, with the creation and appreciation of beauty. In its more technically epistemological perspective, it is defined as the study of subjective and sensory-emotional values, sometimes called judgments of sentiment and taste. In the old pre-historic age, individuals had a solid confidence in folklore and enchantment when it came to translating the world and around us. The world as they saw was to a great extent affected by the nearness of a higher deity. The old Greek savants from sixth century BC conveyed a reviving way to deal with the contemporary philosophical example. They split far from the convention and set out on an understanding which was to a great extent in view of thinking and confirmation. The old Greece saw the ascent of various rationalists. Among these various key figures stood out for their persuasive work and thoughts in reasoning. Their confounding philosophical thoughts on regular science and in addition the utilization of their philosophical esteems, in general, gave them an acknowledgment that lives to the present day. Thales of Miletus is reputed among historians as the Father of Ancient Greek Philosophy. 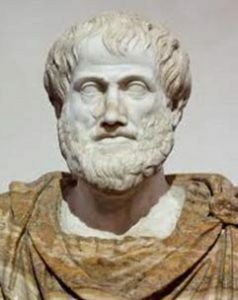 A huge number of Thales’ ideologies come from Aristotle’s depiction, who points out Thales as the first person to have investigated basic principles such as the origination of matter. Thales is also said to be the founder of the school of natural philosophy. Thales was rarely seen to confine his research to a limited area among available knowledge and was actively indulged in understanding various aspects of knowledge such as philosophy, mathematics, science, geography and many more. He is also said to have developed a well-defined standard to theorize why changes occur in things. He proposed water as the basic underlying component of the world. Thales was highly revered among ancient Greeks and his hypotheses usually added meaning and depth into already existing ideas on nature. Often known as the first pure mathematician, Pythagoras is someone known far more for his theories and ideas in mathematics than in philosophy. In fact, he is best known for the theorem in geometry that is named after him. He is one of the most familiar names from pre-Socratic society, but yet, what we know about him is surprisingly less. He is credited with founding a philosophical school for which he gained a number of followers. Socrates, an enigmatic figure and one of the founders of Western philosophy, embarked a whole new perspective of achieving practical results through the application of philosophy in our daily lives – something that was largely absent in the approach of pre-Socratic philosophy. He openly diverted from the relentless physical speculations prior philosophers were so busy interpreting and attempted to establish a system that would be based on human reasoning rather than various (and often widely debated) theological beliefs. He would question people relentlessly on their beliefs, and try to find definitions of virtues by conversing with anyone who would claim to possess such qualities. Socrates became an iconic figure gathering numerous followers, but he also made many enemies. Eventually, his beliefs and realistic approach in philosophy led to his execution. But one may argue that his philosophical genius, more than anything else, turned him into the iconic figure that he is to the present day. Plato was Socrates’ student and was highly influenced by the philosophical approach to his master. 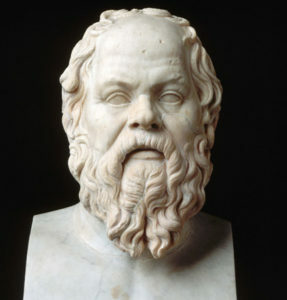 But while Socrates was continually occupied with interpreting philosophy based on human reasoning, Plato indulged himself in combining the two major approaches – pre-Socratic metaphysics and natural theology with Socratic ethical theology. 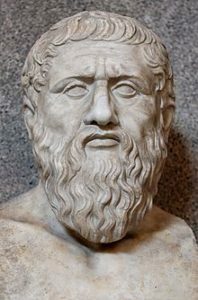 The basic groundwork of Plato’s philosophy is a threefold approach – dialects, ethics and physics, the central point of the union being the theory of forms. In physics, he agreed with much of the views of Pythagoras. For him, the highest of forms was that of the ‘good’, which he had taken as the cause of being and knowledge. Most of his works, especially one of his greatest works – ‘The Republic’ serves as a blend for various aspects of political philosophy and metaphysics among others into a systematic, meaningful and applicable philosophy reiterating the central idea of an “ideal” society. Born in the city of Stagira, Aristotle was one of the most influential figures of Western history. His interpretation of things was more based on facts learned from experience one would gain in their lives, an approach that was different from that of his teacher who preferred a perspective that was beyond the reach of physical senses. He proved to be an imaginative writer and equally creative polymath, gradually re-writing pre-established concepts in almost every area of knowledge. At a time when human knowledge remained far too generalized, he broke down the overall knowledge assimilation into different categories such as ethics, biology, mathematics, and physics – a pattern still used today. Aristotle is truly an iconic figure in the ancient Greek philosopher whose influence went on to have an impact way beyond the bounds of ancient Greece, and much further in time to the present date. The emergence of the entire Western philosophical tradition can be traced back to the era of ancient Greek philosophy. The evolution of philosophical concerns and critical thinking among the philosophers in ancient Greece that started somewhere around the 6th century BCE played an essential role in the development of knowledge as we know it today. They practiced various approaches in their philosophical journey, seeking answers to known paradoxes, and creating countless more on the way. It started with the first attempt by Thales at imagining the world from a methodical perspective. The group of critical thinkers that came after, went on to diversify this approach into natural science, metaphysics and, eventually, ethical leading to the evolution of philosophy as we know today. [i] The Ionians were one of the 4 major tribes that the Greeks considered themselves to be divided into during the ancient period; 3 other being the Dorians, Aeolians, and Achaeans. The Ionian, Dorian and Aeolian dialect were 3 major linguistic divisions of the Hellenic world.